1st attempt with install options set to Modern Hardware, Safe mode using Panorama video driver: Very slow getting past the eCS2 splash screen but, eventually, the Installer appeared. All went well until I tried to read the Reg Key from a USB drive - the USB ports do not seem to be working, the drive is not recognised and no message appears telling me the device ? : has been attached. 2nd attempt with install options set to Modern Hardware, ACPI mode using SNAP video driver (VBE mode automatically selected by SNAP): Very quickly past the eCS2 splash screen and the Installer appeared. No problems accessing the usb drive with the Reg Key on. Install completed OK but there were problems. No system sounds - have to investigate the different uniaud packages and see if I can some drivers that work. Having added /SMP and /APIC to the PSD=ACPI.PSD line I rebooted. I could not get a wireless connection; the (genmac) drivers for the Intel 3945 nic seemed to load OK but failed to connect to the router almost next to the laptop. I removed the other nic driver (Broadcom, wired socket and not required) and protocols using the Adapters and Protocols app and rebooted. No change, still no wireless connection. Looks like my suspicion of ACPI problems was correct. Still no audio so I'll have to look into that a bit further. Overall, quite a nice laptop - shame the install needed so much faffing around though. 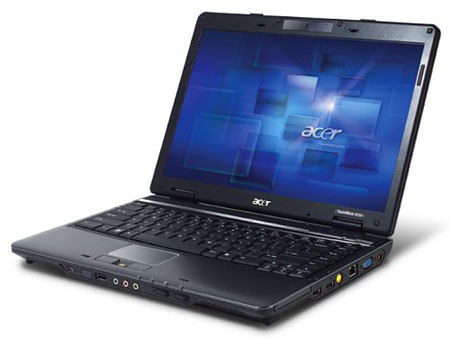 I'm trying to get audio working on an Acer Travelmate 5720 laptop with Intel HDA (ICH8?) and Realtek ALC268 mixer. All drivers tested seem to load at boot displaying something like HDA Intel at xxxxxx IRQ11 - where xxxxxx is some sort of address? None of the drivers tested play any system sounds - yes System Sounds are Enabled and a Scheme is selected. creates a list of Control IDs and shows their state. Both vlc and (s)mplayer seem to work OK.
A little later I had to reboot and "lost" sounds again. I ran unimix -list > unitest2.txt and both speakers had been reset to 0. I guess I need to set the speaker playback volume values at every boot. What is the best way to go about this? Well, the easy answer is to create a CMD file with the above unimix commands to set volume and put a shadow of the CMD file in the Startup folder. Another alternative would be to put the commands in startup.cmd in the root of the boot drive.